Mr Majnu to Release for Republic Day! 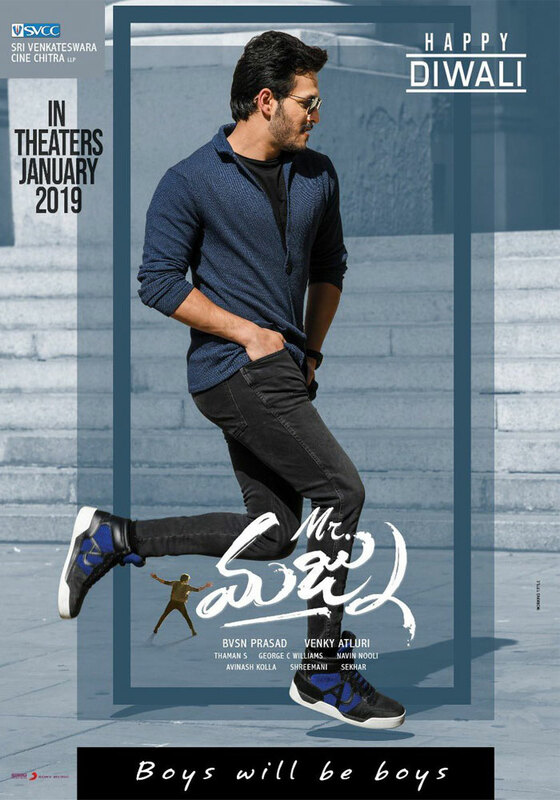 Akhil made his fans elated flaunting a super dancing pose in the latest poster of Mr Majnu released on the day of Deepavali. In same poster, it was mentioned the film would hit screens in the month of January without disclosing exact date of release which triggered various interpretations on the film's release. Though some Akkineni fans wished the film released for Sankranthi season, a full rush of films are set to entangled the season. As such, team Mr Majnu is learnt to have locked Republic Day season for the film's release. Earlier, Natasimham Nandamuri Balakrishna's NTR Mahanayakudu was supposed to hit screens in same season. Since the film's postponement turned inevitable, Akhil has occupied the slot. Thus, Balakrishna has paved the way for Mr Majnu's smooth release. Mr Majnu is being directed by Venky Atluri on Sri Venkateswara Cine Chitra. Nidhi Agarwal is romancing Akhil in this romantic entertainer. Pawan: India's Best Orator from Politicians?